Home > Women and Children > Can migraine make a child miss school? Can migraine make a child miss school? 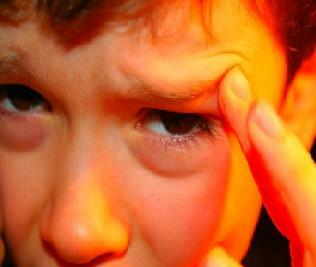 It is relatively common for children with severe migraines to miss school during an attack. In some situations, severe and frequent migraines may significantly impair a child’s ability to attend school and perform well in school. This is perhaps why children and adolescents with migraine have been found to have lower academic performance relative to their peers. Because of the possibility of missing school and its impact on academic performance, it is crucial that migraines be addressed and treated appropriately. Some children and adolescents fall into a pattern of increasing school absenteeism in the context of migraines. When children and adolescents are missing substantial amounts of school because of migraines, there are often reasons beyond the headaches to explain the absenteeism. Some children may be struggling with other issues that are compelling them to stay home, such as bullying at school, social anxiety, learning disabilities or other academic struggles. As a parent, it is important for you to consider all of the possible reasons for which your child may be missing school in addition to the migraines, because unless all issues are addressed, your child is unlikely to easily and successfully reintegrate into a regular school routine. Rocha-Filho PA, Santos P V. Headaches, quality of life, and academic performance in schoolchildren and adolescents. Headache 2014;54(7):1194–202. Is it common to have migraine after migraine in the same day?